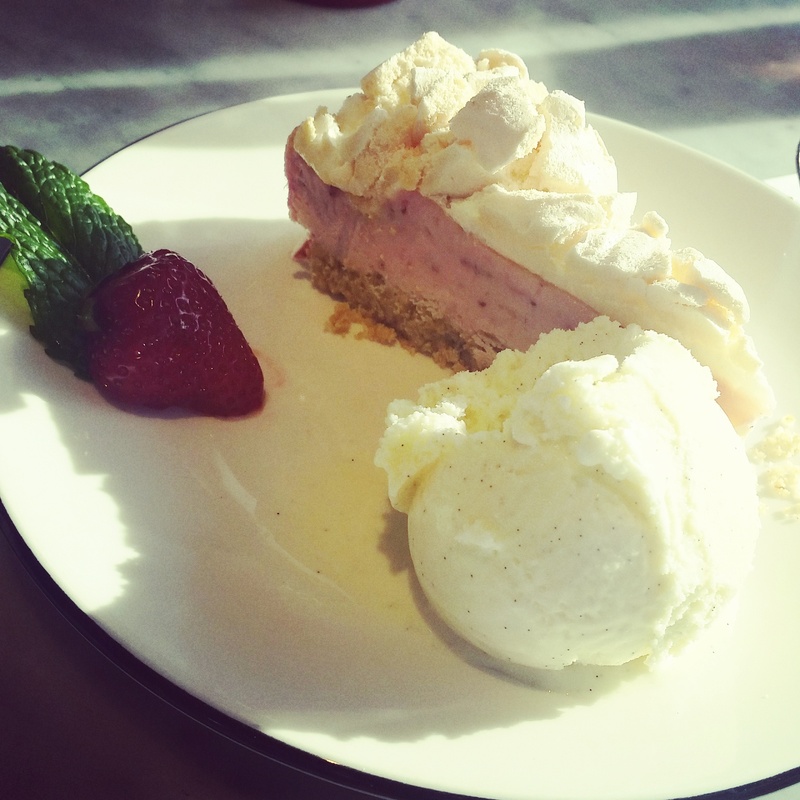 For once Pizza Express have pulled a great dessert out the bag – Eton Mess Cheesecake with Vanilla Ice Cream. When visiting Wembley last weekend for the Women’s FA Cup final between Chelsea and Notts County we decided to pop over the road to the Designer Outlet and get some food before starting on the, nearly two hour, trek back home to the deepest darkest South London. So after some debate of a cheeky Nando’s or a burger at Homemade Burger Co we opted for the simple Pizza Express. As always it was standard service and standard food but this dessert was fresh, creamy and very yummy. For once they managed to excel at something that they far too often do to bog standard average. Though the glazed half strawberry with the green top left on was pretty frustrating and a bit of a left down. Wasn’t even a very good strawberry. This entry was posted in Food and Drink, Restaurant Reviews and tagged atmosphere, biscuit, Cheese, cheesecake, childhood food, childhood memories, classic food, Cook, cooking, cost, creamy, dairy, dessert, desserts, Dining, dinner, discussion friendly, Drink, eating, eating out, flavouring, food, food pictures, football, fresh, fruit, ice cream, italian restaurant, Lifestyle, London, meal, north london, pizza, pizza express, quality time, restaurant, restaurant chain, Restaurant review, restaurants, service, simple food, strawberries, strawberry, tasty, tasty food, vanilla, vegetarian, wembley. Bookmark the permalink.